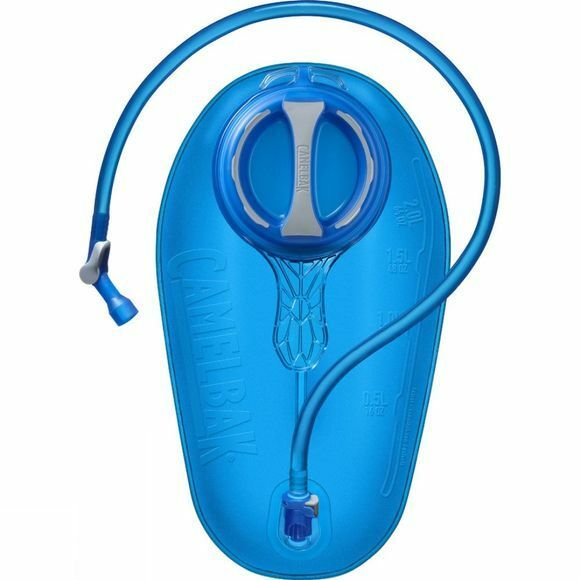 Whether you are out for a run on the trails or backpacking through the hills, the Crux Reservoir 2L from Camelbak is a necessity. The reservoir and tube are both made with Hydroguard technology which prevents bacteria from growing. It's on and off lever makes one handed use effortless so you can drink while on the move and with its leak-proof cap you have the peace of mind your gear will stay dry. With it's bigger bite valve, you now get 20% more water per sip and it seals itself after every drink so you don't waste any water through drips.